Original Sin Art: 12 Days Of Making, Day Two. Day Two of our Instagram Challenge involved the prompt RED AND GREEN; lovely, cozy, festive colours that I'm sure remind most of us of Christmas. They also remind me of our time spent in New Mexico, when asked if you wanted red or green chile with your food, the locals answer "Christmas" if they want both! Well, I thought I would show you everything in my Etsy shop that currently matches those colours. I realize that skulls might not be what most people think of at Christmas, but as far as I'm concerned, Goth is for life, not just for Halloween! Also, it used to be traditional that ghost stories were told around the fireside on those long winter nights, so I think that has me covered! Here are the links to the above items in my Etsy shop, if you are interested! 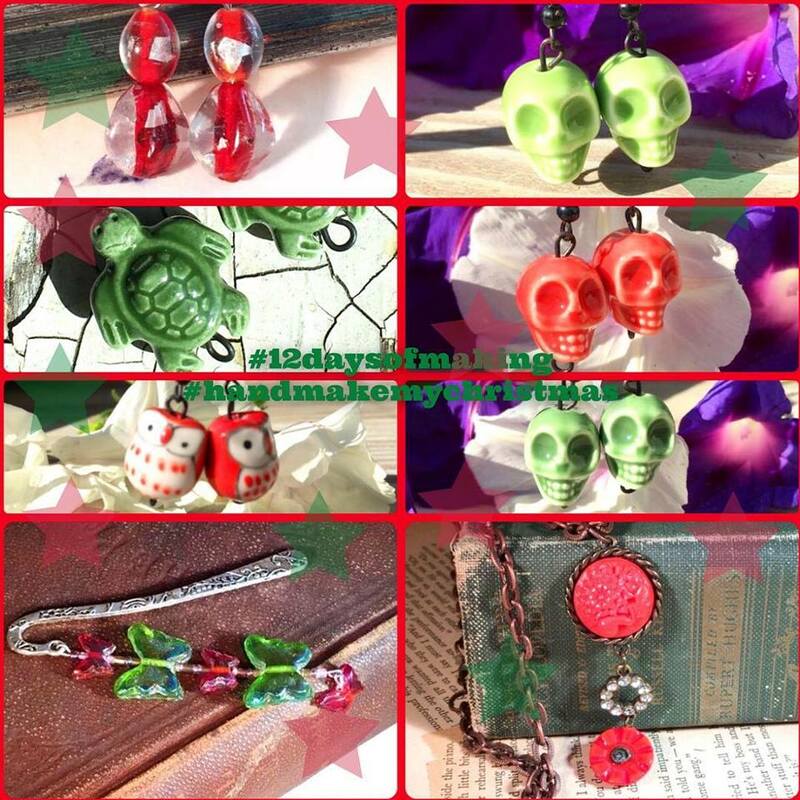 Grinning Skull Earrings, light green. Grinning Skull Earrings, dark green.